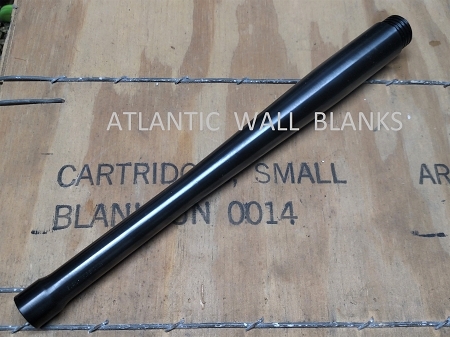 ATF approved 10.5" blank fire barrel is modeled after the WWII Thompson Sub-Machine gun barrel. A short barrel permit is NOT REQUIRED for installation. Blued steel barrel in the correct profile for the M1 and M1A1 Thompson SMG. 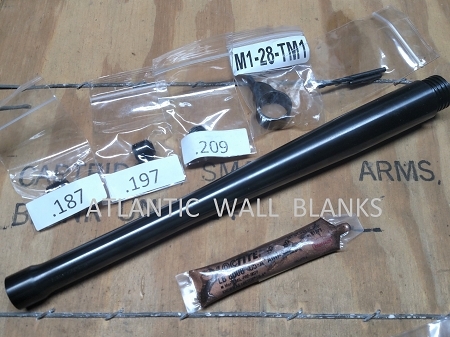 Includes: 10.5" blank fire barrel, front sight, 2 restrictor screws, roll pin, 1/8" drill, Loctite, ATF blank fire barrel approval letter. Produced for us by Howell Arms. The ATF approval letter should remain with the gun.